DC stands as a global brand whose product line has expanded to include men’s, women’s, and kids’ skateboarding and lifestyle shoes, apparel, snowboards, boots, outerwear, and accessories. But despite growing into a dynamic brand, DC remains true to its heritage – make a significant change in the realm of skateboarding. From supporting skateboarding prodigies like Nyjah Huston to hosting events that promote the sport, DC sits at the core of the community and remains highly committed in its mission. In line with its thrust, DC, in collaboration with Mountain Dew, is more than psyched to be at the helm of this year’s Go Skateboarding Day – an official annual holiday conceived by the International Association of Skateboard Companies to promote skateboarding. Celebrated by skaters all around the world, DC’s very own version of the Go Skateboarding Day is set to be celebrated on June 21 with a push parade in Makati City leading towards the Circuit Makati Grounds, and finally culminating at the Mountain Dew Skate Park where a series of pocket events, several prizes and activities await skaters including the search for the Highest Ollie, Best Grind and Best Run. Skateboarding is already growing popular among the youth nowadays and DC still takes it to heart to promote skateboarding as a sport that needs support and nurturing. As the heart and soul of the brand, it is DC’s mission to exhaust its efforts in promoting skateboarding through its innovative products, by supporting skate athletes, as well as in hosting events. So what are you waiting for? Whether you ride a longboard, a cruiser, or push a good ol’ street deck, come celebrate and push around to prove your undying love for skateboarding. Don’t miss this chance to take part in this year’s DC Go Skateboarding Day! 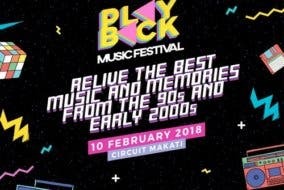 Playback Music Festival is Happening in February!